Happy May to all of you! If you have been over to the Seize the Birthday challenge blog you know there have been some changes to our look. That's not the only thing that's new. There have been a few changes to the design team. We lost Kay Miller, Lynn Hayes and Dawn Easton...so sad to see them go and wish them all the best. This left some openings on the disign team. 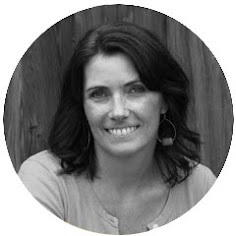 A big welcome to Cathie Santie, Amy Tsuruta and Glenda Wyatt. But wait...there is more! Each challenge will now last for a 2 week rotaton. This will give you extra time to play along. You can make as many birthday cards as you wish with our sketch. You will now be able to make either a feminine or a masculine card...totally up to you! The challenges will start at noon EST on Thursday and the linky will close at noon EST on Tuesday..and then the VOTING will begin. That's right, we are letting you select your favorite three cards. Voting will last until Wednesday at noon EST. The winners will be announce on Thursday at 11:00 EST. 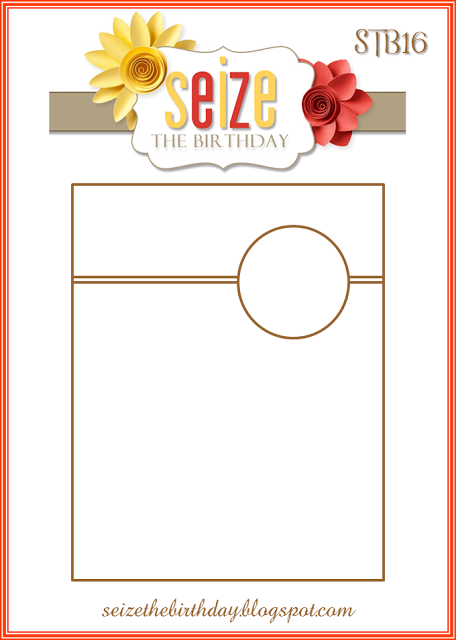 All of us at Seize the Birthday are very excited about these changes, and we hope you are too. Okay..now that I have updated you with all the changes, it's time for this week's card. The Cutting Cafe' is our sponsor for the next two weeks. For this week's card I completly flipped the sketch upside down. The vase didn't look right at the top of the card. 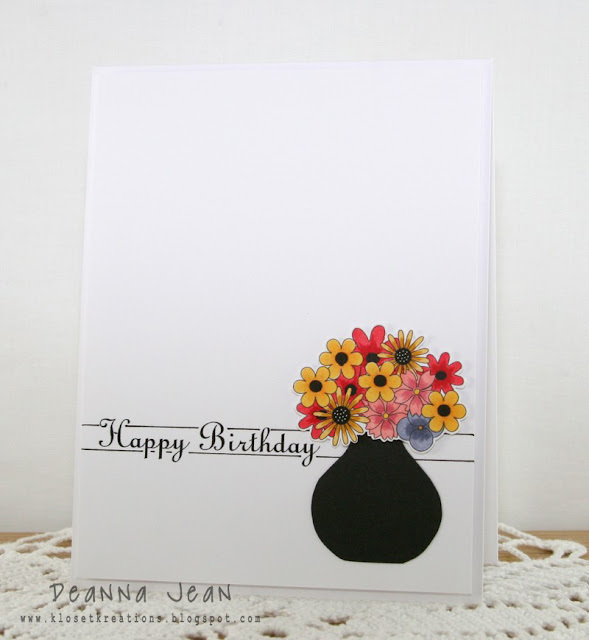 My image is from the Beautiful Blooms printable stamp set...LOVE this set. Because this set is a digital set, I couldn't print the vase on my black paper. So..I printed it on a piece of white paper and cut it out, then I traced around it with a pencil onto the black and cut that out. I printed the flowers on white and cut them out and colored them with various Copic markers. The sentiment is from the Birthday Greetings Inside & Out. Once I got the sentiment where I wanted it, I ran my cardstock through my printer. I drew the lines with a Mocron 03 pen. In this picture you can see that I attached the card front to the card base with foam tape and the flowers with my dots for the added dimension. 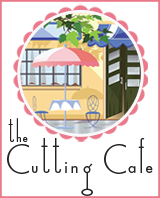 Our fabulous sponsor for the next two weeks, The Cutting Cafe', will be giving our lucky winner the choice of 3 sets from their shop. 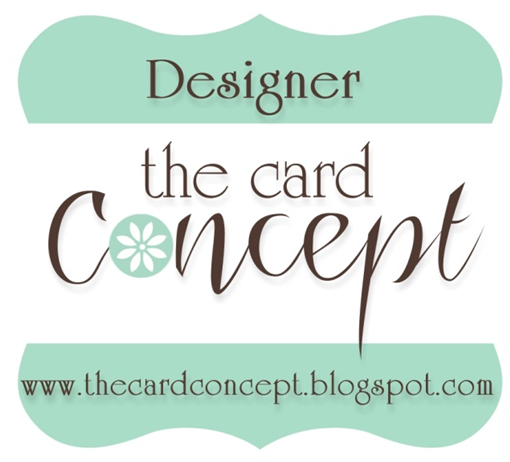 The Cutting Cafe is your one stop for affordable cutting files and printable stamps. We offer several different files in just about every occasion from Birthdays to several different Holidays. Come on by and check us out. I am sure you will find something you like. I hope you can join us. Thanks for stopping by. LOVE this card and the yesterday one too..so cute and sweet with the balloons! Love the computer generated Happy Birthday and the added lines. Finishes off the card beautifully. so pretty!! unique colors and i'm loving all of your hand drawn lines! Ooooo, I just love the colors for your flowers! Love how you popped them up! Such a pretty card! This is gorgeous! I'm amazed at all those pretty flowers and the drawn lines! Great job Deanna! Lovely card Deanna! Love the white base and the colorful blooms. Absolutely gorgeous! I would never have thought of the black vase, but WOW! It really makes your beautiful flowers pop. 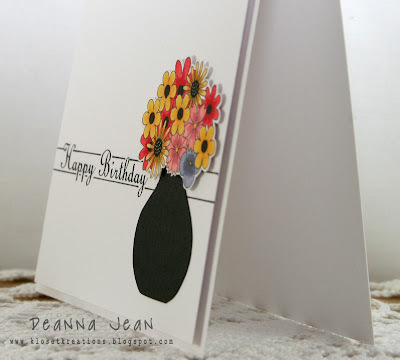 gorgeous card...love what you did with the blooms! Wow, what a gorgeous card! Love the clean look and those beautiful flowers - great coloring!